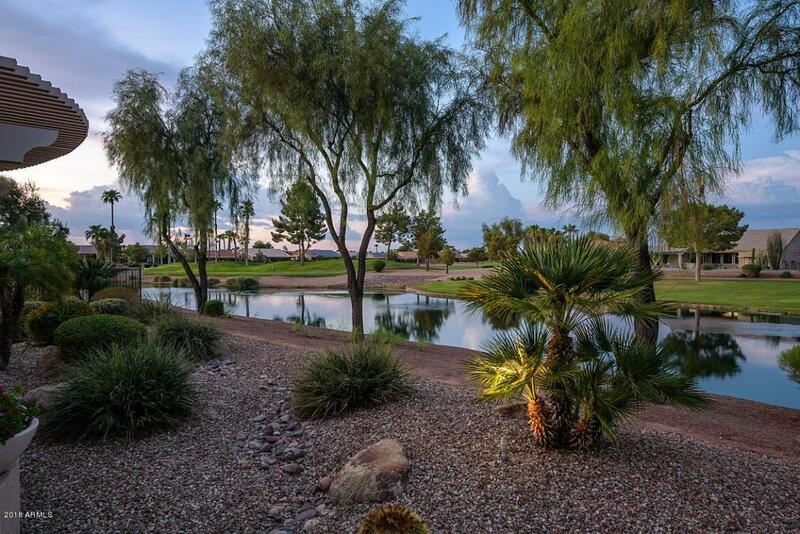 EXPANSIVE GOLF & LAKE VIEW. Location, Location, Location! This is the one! 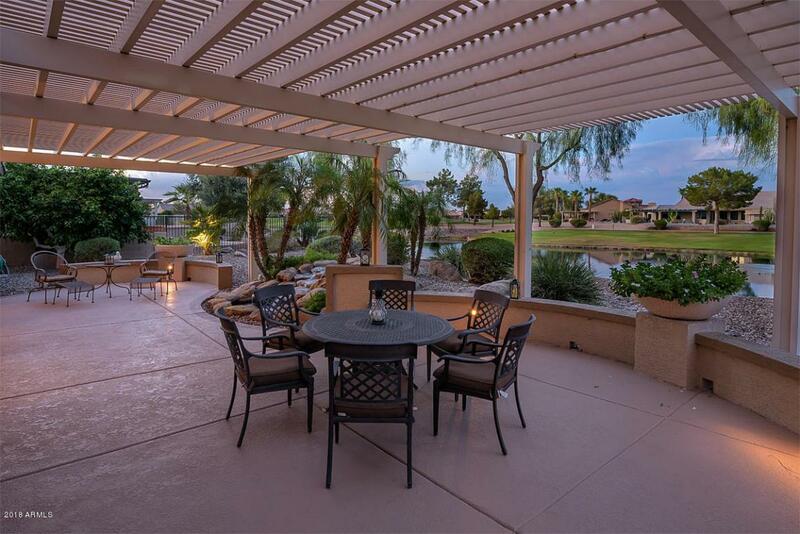 Sweeping golf course & water views can be enjoyed from the extended patio. 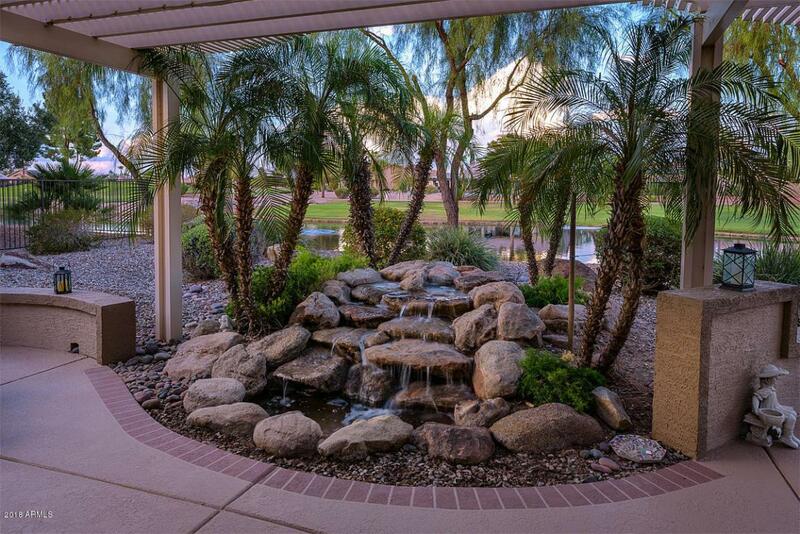 This peaceful setting is enhanced by a soothing rock water feature & built-in BBQ; perfect for entertaining! 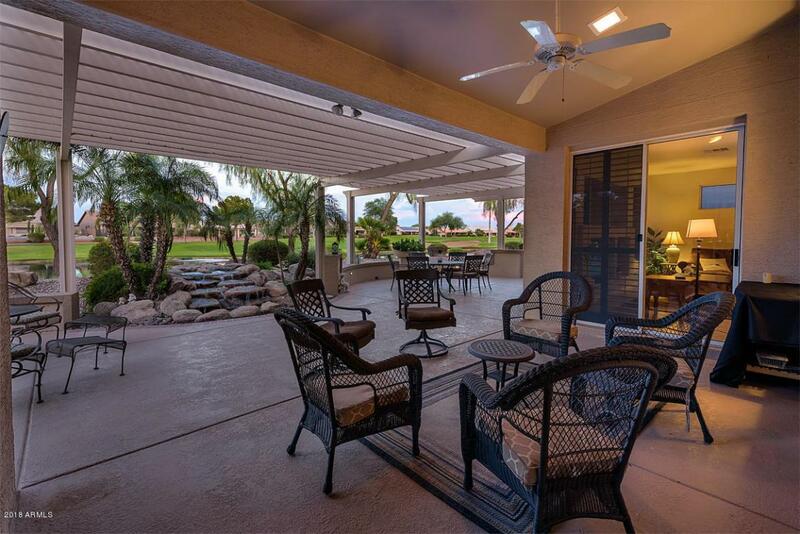 You will be captivated from the moment you walk into this tastefully designed home with spacious sitting area, formal dining room, family room with media center, adjacent Casual dining & Kitchen featuring Stonette counters, built in oven and microwave plus multi-burner gas cooktop. Inviting master retreat with large bay window, soaking tub, walk-in shower, dual vanities & roomy closet. Split floor plan offers privacy for your guests. Home office offering built-in desk, cabinets, & Wallbed. Owned Solar! Ready for you to enjoy!